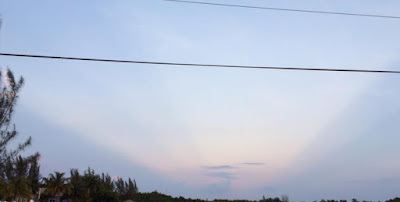 The next meeting of the Cayman Islands Astronomical Society will be from 7:00 PM on Thursday November 12th - at Pedro St James Castle Savannah. All are welcome and there is no charge for the occasional visitor. Membership of only 25 CI is encouraged thereafter. Non-members are asked to park outside and walk in. Without doubt the rainy season has now started so be aware the meeting will be cancelled if there is more than 50 percent cloud cover- ring me (not text) on 925 7657 for a weather update at around 6:30 PM if in doubt. 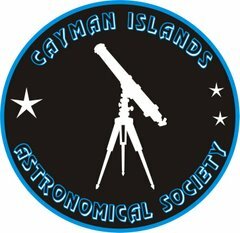 The next meeting of the Cayman Islands Astronomical Society will be on Sunday October 18th at St Pedros Castle, starting at 7:30 PM. All are welcome and there is no charge for visitors and first timers. People are encouraged to park outside and walk in. In the event of more than 50 percent cloudy cover the meeting will be canceled. Coming up in the next newsletter - see the note on an extra members only evening to chase a comet! Please dim your lights on arrival. Last month we had a fantastic turn out but too many cars, so I will now request that from now on visitors park outside and walk in. This also removes the issue of car head lights- which used to dazzle observers on entry. 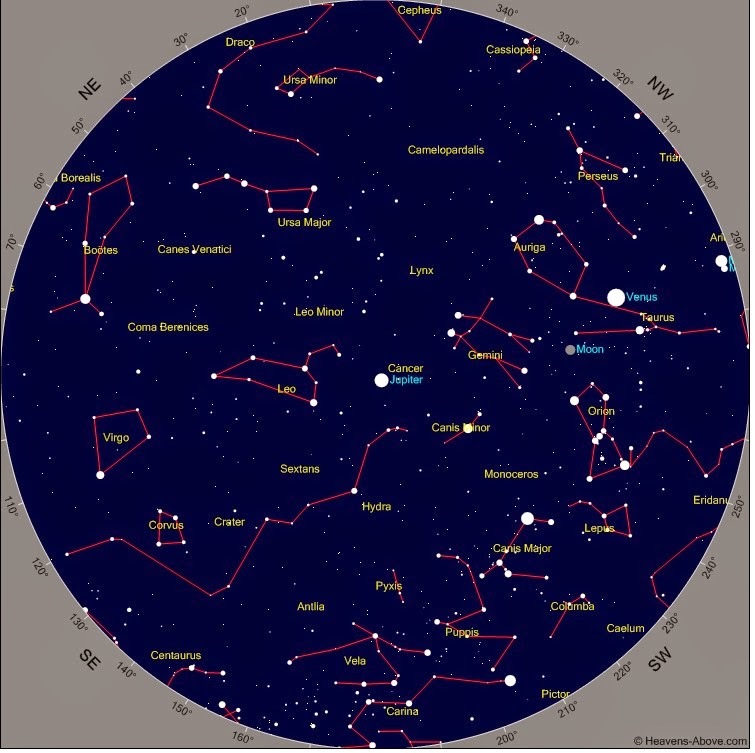 This will be based at the UCCI W Hrudey Observatory at will start at 7:00 PM – to finish hopefully at 8:00 PM and then to Sunset My Bar. This month’s date was chosen by the usual few days period after the new moon but also because its Earth Day -not Earth Hour which was last month . Earth Hour which this year fell on March 28th was organized by the World Wide Fund For Nature (WWF) and involves turning off all non-essential lights for one hour between 8:30 and 9:30 PM local time to raise awareness Global environmental issues. Over 7000 cities and towns word wide are involved. We did try here and the CIAS went to support the National trust at Camana Bay. The weather was not kind and Bill and I had a somewhat rapid exit with the new 12 inch scope as the rain started. So what can be seen at Pedros on Wednesday 22nd April? The Lyrid meteor shower will be at its maximum but the best observing hours are around 2 AM with typically 10 to 20 meteors – so we may see one or two in the evening. The radiant will be in the low North East late in the evening. Venus is seen in the West and Jupiter is overhead. 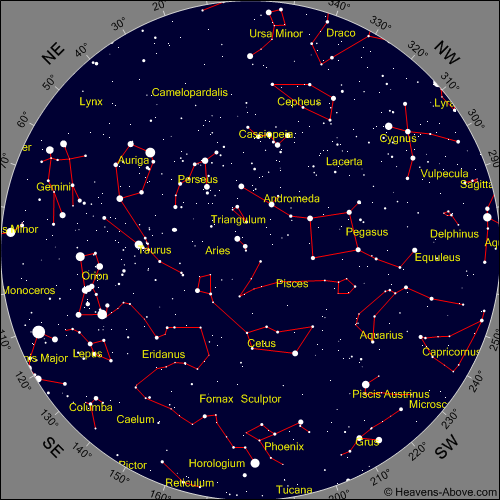 As the evening progresses we will hopefully get a glimpse of the Southern Cross. This time of the year is good for galaxies too and I’m hoping with the 12 inch telescope we should finally see a few. The Constellations of Leo and Virgo are rich in galaxies. They are faint objects although can be quite large in angular size.